Large corporates who use investigations to protect their valuable reputations. To manage and mitigate local and corporate risks and incidents day-to-day. A secure, accessible cloud platform that provides real-time management across your investigations, incidents, evidence and cases empowering strategic level decision making. Investigation Manager Reviews Recently Reviewed! Pros: Easy to navigate, simple to use. The ability to upload cases and retreive the data is flawless and requires very little tuition to use. I have found the ability load images and videos into dairy entries particulalry good and the searchability of the whole system for full or part words, documents etc is excellant. The pocket book is a great feature that allows me to track my day to day work flow for management. And the audit reporting is really useful. Cons: Does not have the ability to change font styles, bold, italic etc with text within the diary which would be useful if you require something to immeidatly jump out in a sentance or paragraph. Overall: Cloud based platform that can be intergrated easily into our current work flow. Time management is quicker when reporting and loading new cases. The IM has made my working day so much easier! Pros: Having tried a few management style packages for our company over the years I have to say this one works perfectly for us. It has just the right amount of features for reporting and for recording our work. It allows you to record/upload documents easily and you can also link jobs which is useful. 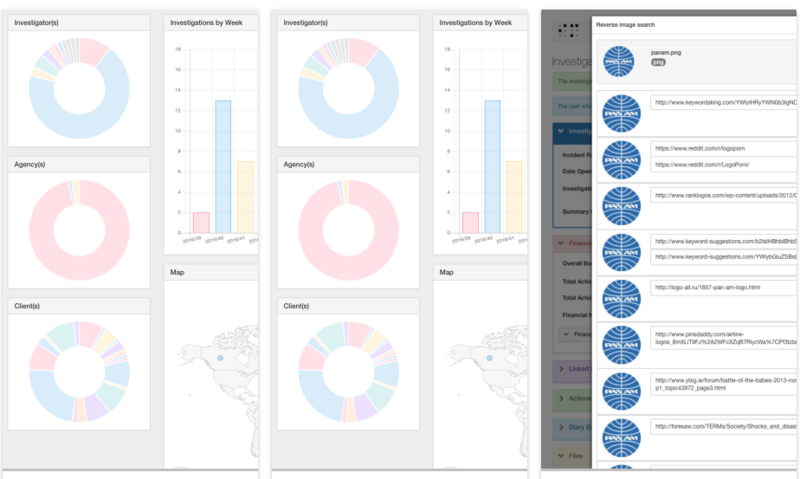 I particularly like the dashboard which makes reporting and monitoring my investigations easy. customer feedback which is what new viewers look for when selecting the type of investigation company to entrust with their case.